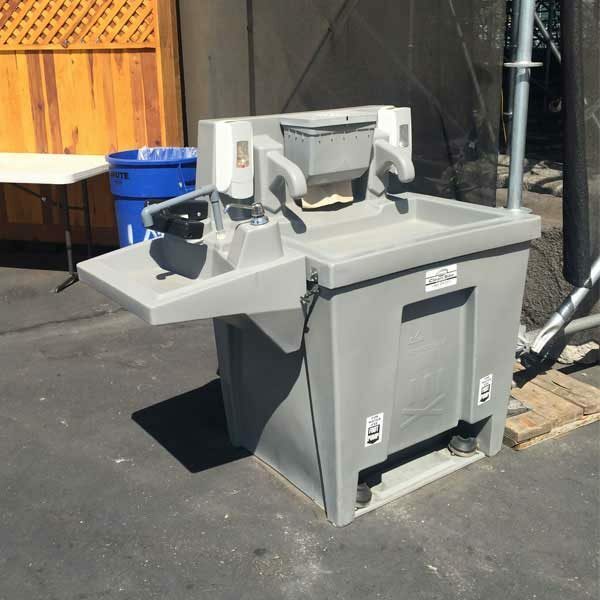 Clean Site Services offers a unique handicap accessible hand wash sink. We have a three sink hand wash station that features two side-by-side sinks with a third handicap accessible sink on the side. The handicap sink station features a hand operated water pump.